Stop telling your children to brush their teeth! We have all heard the routine of the nightly tooth brushing conflict. 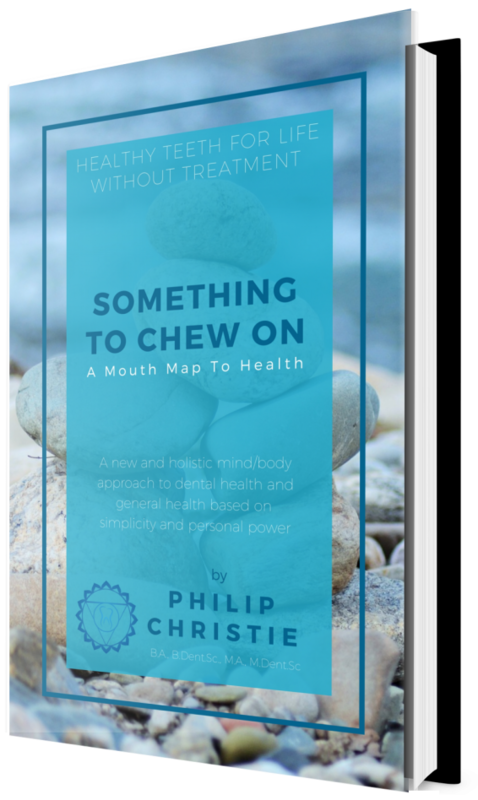 There’s no doubt parents would be delighted for you to impart some wisdom as to how to avoid the daily oral hygiene confrontation, writes Philip Christie Have you brushed your teeth, Billy?’ comes the irritated parental voice. A kind of pregnant silence follows. The question comes again but this time there is more irritation. ‘Billy, did you hear me? Have you brushed your teeth, yet?’ “No… not yet, Mum,’ comes the muffled, yet noticeably exasperated, reply. ‘Well, get to it – straight away. I will be checking so don’t try to skive off.’ ‘O…K, Mum!’; Billy’s voice is resigned. Ten minutes have passed and the voice from below stairs breaks the silence: ‘Have you got your teeth done, Billy?’ ‘Just doing it now, Mum,’ calls back Billy with a ‘sounding busy’ air, as he flicks the television channel with the remote control. ‘Well hurry up about it. I want you in bed in 10 minutes, right?’ ‘Right, Mum.’ Billy throws the remote control on the bed and drags himself toward the bathroom. ‘Stupid bloody teeth… so boring… who cares anyway,’ mutters Billy as he mindlessly and inefficiently goes through the motions with toothpaste and toothbrush. When I tell mums and dads to STOP telling their children to brush their teeth, they look at me as though I had just committed perjury! Some give me a quizzical look with a half smile, waiting for me to admit that I was only joking. Others begin to laugh straight away, assuming that it is a joke. When I tell them that I could not be more serious, they are shocked and disbelieving that a dentist could speak such ‘crazy’ words. ‘And who is going to tell them?’ some ask mockingly. ‘What kind of a parent would I be if I don’t do my duty?’ one very caring mother asked me when I voiced my opinion. ‘Don’t you think that that is a very irresponsible attitude for a dental professional to have?’ These are all very understandable reactions, because my advice seems to go against all understanding and reason. Surely it is the solemn duty of all parents to make sure that their children are looking after their teeth? Parents are responsible for the care of their children. Parents who do not take this responsibility seriously are not behaving as good parents. The explanation for all of this is very simple. What I have said seems to make no sense and, indeed, many might call it insane. Yet if we are prepared to look in simple honesty, we will see that it is society’s idea of how to teach and care for the children’s health that is actually ‘insane ‘. Let me be very clear; I totally agree that it is a parent’s responsibility to teach their children to care for their teeth. It is on the question of how to achieve that noble goal that I differ from society. All methods are evaluated on how well they can achieve the desired outcome. We ask what it is we want to achieve and then whether or not we are achieving it. If we are not achieving what we set out to achieve, it makes sense that we then re-evaluate our methods. When we examine the fictitious exchange between Billy and his mum, we can gain enormous understanding of what goes wrong, why it goes wrong and how it goes wrong! First of all, Billy doesn’t want to brush his teeth and has to be ‘forced’ by his mum. Why is that? Why does he not want to do it? Most people assume that this behaviour is typical of a child. They believe that all children are just like that and that it is something in the make-up of the child. It is true to say that the behaviour is common and scenes like this one occur in most homes up and down the country. It is worthwhile noting that this applies not only to tooth brushing, but to many other things as well. How many could relate to similar problems at the table with food? Do conflicts begin at the table with a parent saying something like: ‘Come on now, Lucy, eat up all your dinner. How do you hope to be healthy unless you eat properly?’ Most people know these routines, which have a role in their lives one way or another. They believe that it’s just the way things are. It’s one of the difficulties that parents just have to deal with. It’s not pleasant, it’s not easy, but it must be done. Many of these conflicts then spill over into conflict between the parents, with one parent saying to leave the child alone and the other insisting that the teeth have to be brushed or dinner has to be eaten. Now the conflict often deepens as each parent feels unsupported by the partner and begins to hold a grievance against the other. This is the term that I always use to describe the way in which conflict is resolved through a deep understanding of the nature of the problem. It is through this gentle light that we can release ourselves from difficulty and bring resolution and peace. So how do we solve the problem? We need firstly to acknowledge that our assumptions about the situation may be wrong. Secondly, we might then acknowledge that it would be better if we were wrong. By this I simply mean that if we are correct in our assumptions then things cannot change and the conflict is inevitable, whereas if we are mistaken in our assumptions then change can happen and with it comes the possibility of resolving the conflict. The solution is to realise that the problem is not caused by the child but by the method that is employed by the adult. Essentially, it is the use of pressure, criticism or force. By getting on to the children to do something in this way, you engender negativity in the child and a desire not to want to do it. In the simplest terms, the human tendency is to resist being pushed. If someone pushes you, you will tend to react by pushing back. This is true of adults as much as children. If a child feels put upon or pushed, he or she will resist. Therefore, if we want our children to brush their teeth, we must stop pushing them to do it. Quite simply, parents should allow the child to see that they brush your teeth and comment on how nice it feels to have clean teeth. Children will soon want to experience it themselves, and if the experience is positive they will want to make a habit of it. By being gentle with them and through their own brushing, parents can teach their children to do a good job. When children try, parents should always encourage them, even if they do not do well at first (nobody gets it right first time). Parents must never comment negatively on their effort or criticise them, no matter what! They should say how nice they look with their teeth sparkling, and I promise that they will have difficulty stopping them from brushing! Remember – children don’t do what you tell them; they do what they want to do!